The facility is secured, you cannot go in or out without the assistance of a staff member. It is very inviting upon entrance. Some of the back halls could use some updating. The administrator's office is easy to find. Some staff was very nice, others didn't speak. The residents seemed very happy and satisfied.The Activity Director was very nice and attentive and patient with residents. The activity program was suited to the likes and need of the residents, not to the personal desires of the activity director. (This is rare). It was a very relaxed atmosphere. The grounds are very well kept. Brookdale Lakeshore is a facility certainly worth considering. Although not quite perfect, this facility has plenty of strengths that would make it a perfect choice depending on your needs. Common areas of the facility were generally quite clean. There was a variety of food options available, making the facility a great choice for the discerning eater. One of the many perks of this facility is its private dining, an optional experience (available upon request) for those who’d like to privately dine with friends or family. The facility has a very home-like and comfortable atmosphere with decor you’d probably find within your own home. In a similar way, the meals served seemed to be home-like and the residents appeared to be enjoying their meals. Meals are served three times a day with snacks available at any hour. The recreational areas in the facility were a bit lacking, but nonetheless enjoyable. The facility is also located near shopping centers, eateries, and recreational services; a big plus for those who do not wish to travel far. Overall, I believe Brookdale Lakeshore is a nice facility with plenty of potential. This facility also has an outdoor courtyard and garden area that was well maintained and appeared to be a great place to sit and relax. Though not perfect in all arenas, Brookdale Lakeshore is an all-around winner. While the home-like feel of this community might appeal to some, depending on your taste, the furnishings might come off as a bit outdated. Despite this, Brookdale Lakeshore is still a strong contender. Members of the staff of whom I spoke with seemed friendly, knowledgeable and eager to insure the residents felt comfortable at all times. One of the things that make this facility stand out above all others is its proximity to Lake Waco. I certainly recommend paying a visit to Brookdale Lakeshore. Though not without its imperfections, Brookdale Lakeshore has the potential to be a wonderful residence for your loved one. This facility is worth paying a visit to, and its homey atmosphere is one that will leave you feeling as if you’ve never left home. The best way to get to know a community is by scheduling a tour. See the facilities, meet the staff and residents, and get a feel first hand what it's like to live at Brookdale Lakeshore Assisted Living. 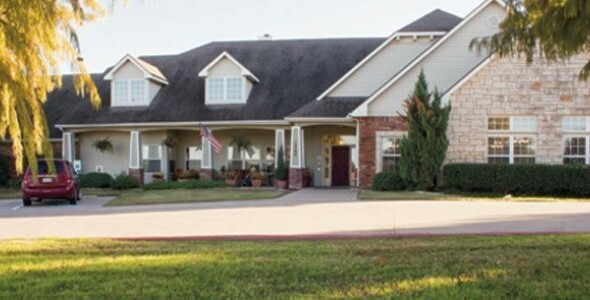 Brookdale Lakeshore (formerly Sterling House of Waco) is a quaint and beautiful assisted living community located within a short distance of gorgeous Lake Waco. Residents enjoy the comforts of our homey assisted living community, and shopping centers, recreational services and hospitals are also nearby. Brookdale Lakeshore is a part of the Brookdale family. Brookdale is one of the nation's largest owners and operators of senior living communities and has been helping seniors achieve a high quality of life since 1978. We are dedicated to providing quality and service excellence throughout all of our communities. Residents at Brookdale Lakeshore are offered the choice of private or companion suites in studio, one- or two-bedroom floor plans. All apartments come standard with private baths with step-in showers, individually controlled thermostats and full-service kitchenettes. The health of our residents is our number one priority, and our chefs are trained to serve up nutritious, home-style meals made only with the freshest meat, fish, herbs and vegetables. Three meals are served per day with snack service available at all hours. Private catering and private dining for friends and relatives is also available upon request. Our residents find everything they want and need in our comfortable and beautiful community. They can be found keeping up with current events or browsing through our large and regular print books in our library. Our outdoor courtyard and garden areas are great places to relax and meditate in the morning sun. Because comfort and convenience are our top priority, our 24-hour trained staff are on site to cater to our residents' every need. Our personalized assessment plan creates a customized service contract based on individual needs and preferences, providing assistance with activities of daily living such as showering, grooming, hygiene, dressing, mobility and transportation. Our life enrichment program keeps residents feeling healthy and fit by combining a healthy, low-sodium nutrition plan with a fun and innovative exercise regime. Residents who choose assisted living at Brookdale Lakeshore experience a life of comfort and hospitality.